Service Dogs, Therapy Dogs, ESAs — What’s the Difference, Anyway? Currently, only dogs — and occasionally miniature horses — may lawfully receive the designation of service animal. Years ago, the term “service dog” covered it all. A person who had a disability had a specially trained dog assisting them with the everyday activities of daily living (ADLs). This enabled people with various disabilities to live more independently — for example, a blind person’s seeing-eye dog would help their person safely navigate the streets. Recently, though, 2 different designations have cropped up to counter rising needs stemming from conditions that may not always be physical but that can be just as debilitating: therapy animals and emotional support animals (ESAs). Certain laws apply to service animals but not to therapy animals or ESAs. Let’s look at the differences among the 3 designations. The animal must be a dog. Currently, no other animal can be given the designation of “service,” with the exception of miniature horses in special cases. ESAs and therapy dogs are not considered service dogs. Tasks performed by the dog must be tailored to assist the person’s disability. A letter from a physician is not enough to transform a therapy animal or ESA into a service dog. The dog must receive specialized training tailored to assist with disabilities. Keep in mind that service dogs are not limited to simply being seeing-eye dogs or assisting the physically disabled. 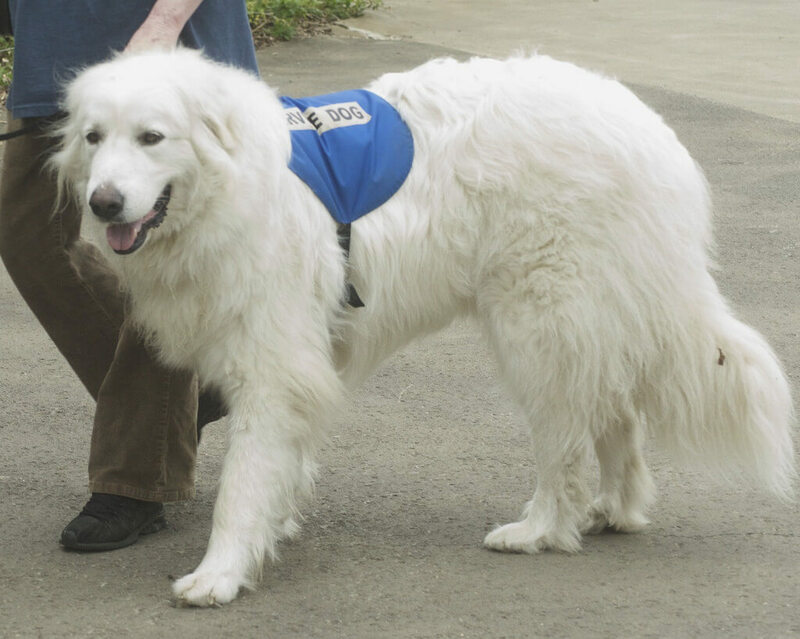 For example, the SSigDOG (sensory signal dogs or social signal dog) is trained to help people with autism. 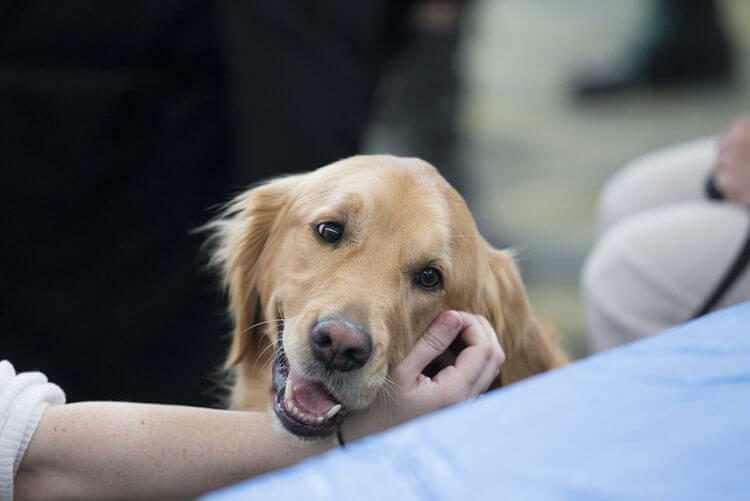 Seizure response dogs are trained to alert, protect and get help for their human at the onset of a seizure. These are considered service dogs and are covered under the ADA law. It should be noted that, service dog or not, if your dog is behaving inappropriately, you both may be asked to leave by representatives of any establishment you visit. Again, therapy animals are not protected under ADA law. This means that they are not allowed to go anywhere that animals are typically forbidden to enter, such as restaurants, on aircraft and in grocery stores. Therapy animals are not required to receive specialized training as service dogs are. They can be any type of animal intended to bring comfort to people. Therapy animals are usually trained to work in environments where they will interact with many different people, such as hospitals, mortuaries and schools. Emotional support animals are similar to therapy dogs in that they don’t need specialized training and they can be any type of animal. The main difference? They’re usually trained for and used by 1 person versus many people. ESAs have 1 key protection that therapy animals don’t have: According to the U.S. Department of Housing and Urban Development (HUD), ESAs are given exceptions when it comes to housing. The homeowner or landlord should not charge an extra fee for an ESA; however, landlords do have some protections. They’re allowed to charge a security deposit as well as hold you accountable for any damages your animal makes to the home. They can also ask for documentation to verify your disability. Employees may not ask about a person’s specific disability, nor may they ask for documentation or for the dog to demonstrate their task. The 2 questions are the only questions that are allowed to be asked by law. Lastly, never interfere with any animal performing their designated duties. You could inadvertently cause serious injury to their handler by distracting the service animal.